Belkin’s latest offering in India with 2-year limited warranty is available for all iPhones.
. Belkin’s ScreenForce screen protection allows application of the screen protector in-store with aid of the machine in just a matter of minutes, resulting in superior precision of application. This protection solution ensures that the protective layer is perfectly placed and aligned with the exact dimensions of the iPhone’s screen, leaving no margin for errors. Belkin’s application by highly trained, certified screen care specialists ensures precision, with no misalignment and the final product, free of air bubbles. Until now, phone screen protection, for the most part, has been manually applied, which means that the final result is prone to human error, with a limitation in the accuracy of application. Belkin’s ScreenForce screen protection allows application of the screen protector in-store with aid of the machine in just a matter of minutes, resulting in superior precision of application. Confidence in their product also means that the ScreenForce Advanced Screen Care comes with a 2-Year Limited Warranty that further adds to your peace of mind. 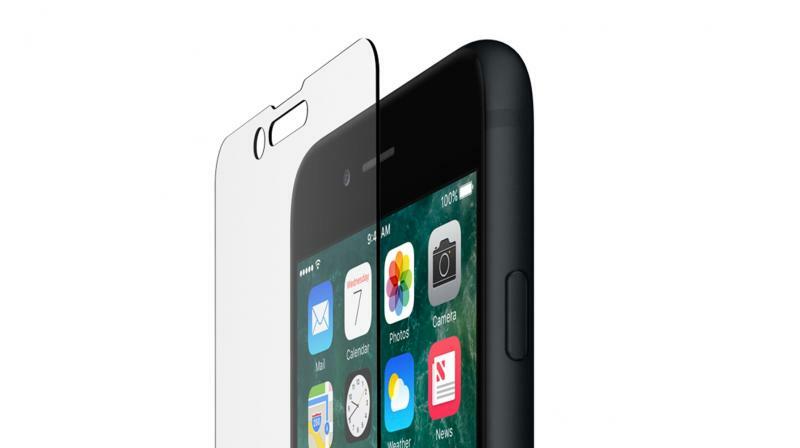 ScreenForce TemperedGlass Screen Protection for iPhone 8 /7 /6 /6s/ 8 Plus/7 Plus: Rs 2,299. ScreenForce TemperedGlass Screen Protection for iPhone Xs Max: Rs 2,999.